"The movie is plagued by a split identity: It's half-slog, half-Mel Brooks." "We still haven't gotten the Hercules film we fully deserve, but this version is entertaining enough." "While the end result is palpably stupid, it's not as terrible as one might expect." "...the acting is wooden, the storytelling clunky and the incessant slaughter is less than compelling." 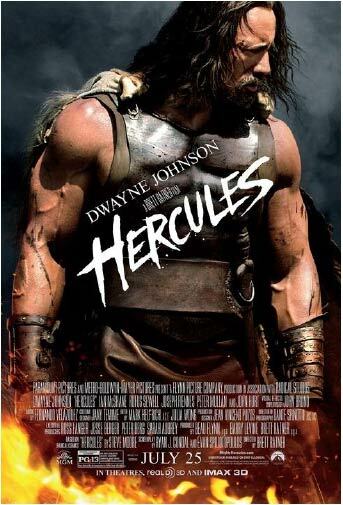 ""Hercules" has a rousing beginning. Too bad the movie didn't include more of that." "A big-budget misfire of a sizeable order, a visually busy but emotionally dead endeavor that wearies the viewer with endless computer generated special effects while failing to provide a scintilla of human interest." "A turbo-charged update of the Italian sword and sandal epics that Steve Reeves and Reg Park used to make in the Sixties." Well it's surprising LUCY did so well but I guess THE LEGEND OF HERCULES starring Kellan Lutz maybe diminished the box office strength of this one. I guess there won't be any sequels.